1352. 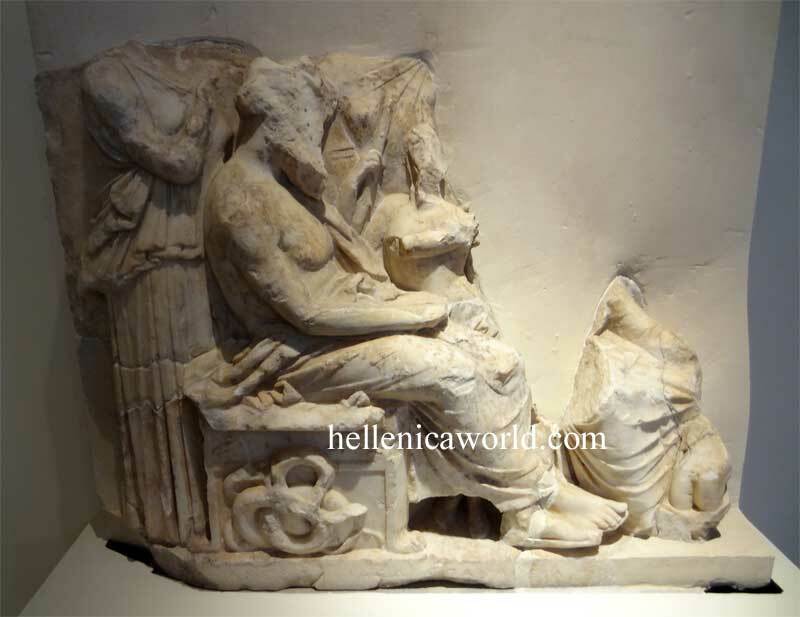 Asklepios, Panakeia, Iaso, Akeso, Epione and Ianiskos. Fragment of a votive relief. Pentelic marble.